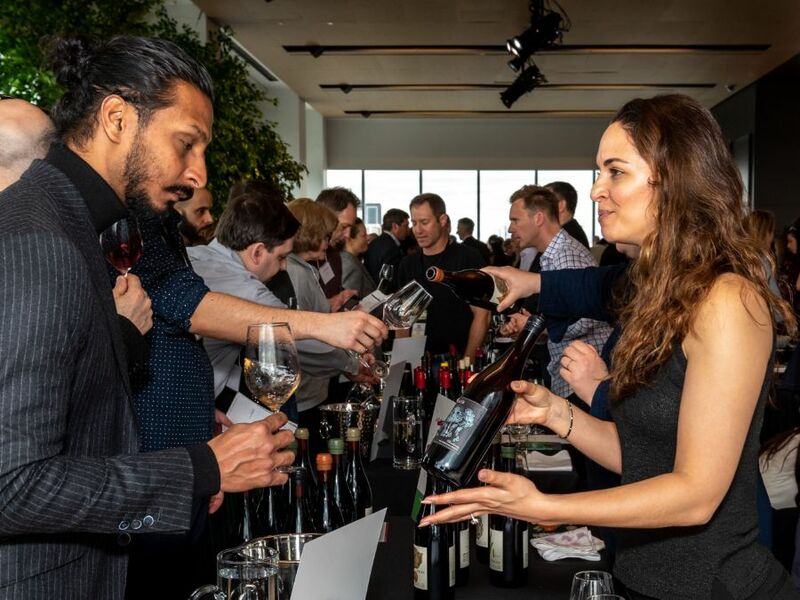 Thank you to the more than three dozen wineries who helped Oregon make another fantastic showing in Toronto last week for our annual trade and consumer tastings in Ontario. It was the first time we’ve taken the “Oregon Wine Trail” event package outside the U.S.
As with the Oregon Wine Board’s other international activities, the Toronto program, including a Master Class on Oregon delivered to a packed house of restaurant professionals and a consumer tasting for 250 ticket holders, was financed by fees from participating wineries and money from our federal Market Access Program grant. If events like this are of interest as you develop your future business plans, join the OWB at its International Committee meeting on May 16 near Salem to learn what’s coming up over the next year. FINAL REMINDER: the OWB kicks off its 2019 industry listening tour tomorrow with stops in Roseburg and Central Point before continuing on over the next week to Eugene, Hood River, McMinnville and Portland. Our goal is to invite your input and perspective on how OWB can most wisely invest the industry’s grape tax money in future Media Relations and Marketing programming to help support your businesses. These professionally-moderated conversations are patterned after the successful discussions OWB had with growers and winemakers last summer about scientific research. Here’s a list of the dates, times and locations. For space planning, let us know right away if you’ll be attending one of our seven Media Relations & Marketing meetings. Thanks also to industry members in the Walla Walla Valley who already joined me to talk about these subjects in February. Are you one of our most insightful and creative industry colleagues bursting with ideas and energy you’d like to devote to the Education Committee? We’d welcome your contributions as the OWB refines its Education calendar and continues its design work for the 2020 Oregon Wine Symposium. Let Bree Stock know if you’d like to learn more about the work of the committee. Speaking of the 2020 Symposium, save these dates now: February 11-12. One last point. With Oregon Wine Month getting underway already in some areas, our website is listing Oregon wine tasting events in cities all over the country. We don’t want to overlook yours right here at home so tell us about your consumer events and we’ll get them online where tourists are looking for ideas about how to spend their time in wine country. OWA members were in Washington, D.C. last week for a series of meetings with the TTB, Senate Finance Committee staff, USDA and Oregon’s seven-member congressional delegation. We took every available opportunity to reinforce the importance of the lower federal excise taxes on wine that have been in place since January 2018 and the need to lock in those rates permanently before Dec. 31 while fixing technical issues for wine transfers in bond and custom crush facilities. We also discussed with TTB the Bureau’s resource constraints and limited jurisdictional authority over wine labeling requirements when state rules articulate higher standards for AVAs than those in place at the federal level. While in D.C., OWA coordinated with our industry partners from the Napa Valley, Wine America and Washington State to host a standing-room-only tasting of West Coast wines for congressional members and D.C. staff. We also had a few unexpected moments. 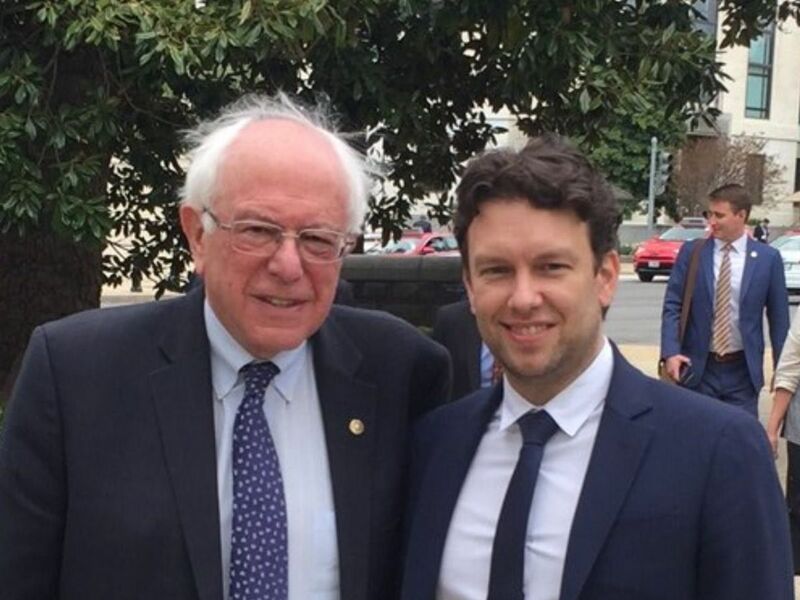 Here are OWA Board member Justin King and his newest friend in the U.S. Senate, Bernie Sanders, taking a minute to exchange tasting notes on Capitol Hill. For those keeping score at home as the 2019 legislative session in Salem enters the middle innings, you might have heard that some bills of interest to winemakers and grape growers have either advanced for further work or been tabled. Senate Bill #7, which would have lowered the blood alcohol level to .05, falls into the latter category. It will go no further in 2019. Senate Bills #111 (grape tax collection) and #591 (unfair trade practice actions related to deceptive wine labeling) are now with the Joint Ways and Means and Senate Rules Committees respectively. House Bill #2322, which might make it easier to site solar energy projects on farm land, was also moved on to Joint Ways and Means. We’ll continue reporting to you on those as news breaks. You might be hearing more over the next few weeks about House Bill #2019. It is designed to create a new business tax to fund additional investments in education. This is an important priority for Governor Brown. The OWA is lobbying for a credit against any potential new tax liabilities equal to the state and federal excise taxes, including OLCC’s “privilege” tax, now paid by Oregon wineries. Finally, there is still time to reserve your spot and be among the 40+ Oregon wineries pouring in Portland for hundreds of wine consumers at the OWA tasting on June 2. Register your winery right here. If you’ve got opinions on the OWB’s marketing and media relations program, now is the perfect time to share them. We’re in the process of writing a new strategic plan, and input from the industry will heavily inform what goes into it. There are two ways to give your input: complete this questionnaire or attend a listening session near you this week. With about two weeks to go until Oregon Wine Month, be sure to visit the 2019 Oregon Wine Month toolkit for resources to help you and your partners get ready for May. Find information about the activity plan, recommendations for getting involved and assets you can use in your own marketing and sales activities. On April 4, Dr. Greg Jones of Linfield College published an updated weather and climate summary and forecast. This report looks back at March conditions and forecasts conditions for April, May and June. Reviewer Owen Bargreen is looking for current release Oregon wines of all varieties to review for the International Wine Report’s Oregon Report, and will also be running a PNW Rosé Report. Some wines will also be included in the Washington Wine Blog. Brian Bushlach is offering a discount in the run up to Oregon Wine Month for wineries interested in recording a 20-minute podcast to share their story and wines. These podcasts will be published through a variety of channels and can be shared on the winery’s own networks. Limited to 100 wineries, sign up by April 30. The annual Oregon Wine Competition is accepting entries from all Oregon producers until June 7. Judging will take place late July and awards will be announced at the Oregon Wine Experience on Aug. 22. TASTE, a premier event that showcases the diversity of the Oregon food and wine industry, will take place May 31. Tickets are now available and the organizers appreciate any help in spreading the word about this event that supports the important equity work happening in Greater Portland. The Oregon wine industry made its mark among preeminent wine influencers this year at the TEXSOM International Wine Awards. Many wineries took advantage of the OWB’s complimentary shipping program, resulting in more Oregon wines evaluated and a 13% increase in award-winning Oregon wines.